This week we have an unprecedented opportunity to demand that migrant women’s rights and leadership be put at the center of the migration debates and policies that hold sway over their lives. And yes -- we are making the connection to the forced displacement of tens of thousands of women from Central America who continue to make their way, often with their famiies -- through Mexico and to the U.S. border, in search of safety and survival. On December 10-11, governments from around the world will meet in Marrakech to adopt the Global Compact for Migration, the first-ever international agreement on migration management. Collectively, we’ll present a 7-point Marrakech Women’s Rights Manifesto to world leaders, and we’ll demand that migrant women be put at the center of migration policy, now and going forward. We need your support! Watch the animated video about the Manifesto! Please add you name now -- as individuals and as organizations -- to the "Marrakech Women's Rights Manifesto". During "Migration Week" in Morocco we will also call on migrants and allies around the world to endorse the Manifesto and pledge to work in all countries to advance women's human rights in migration. 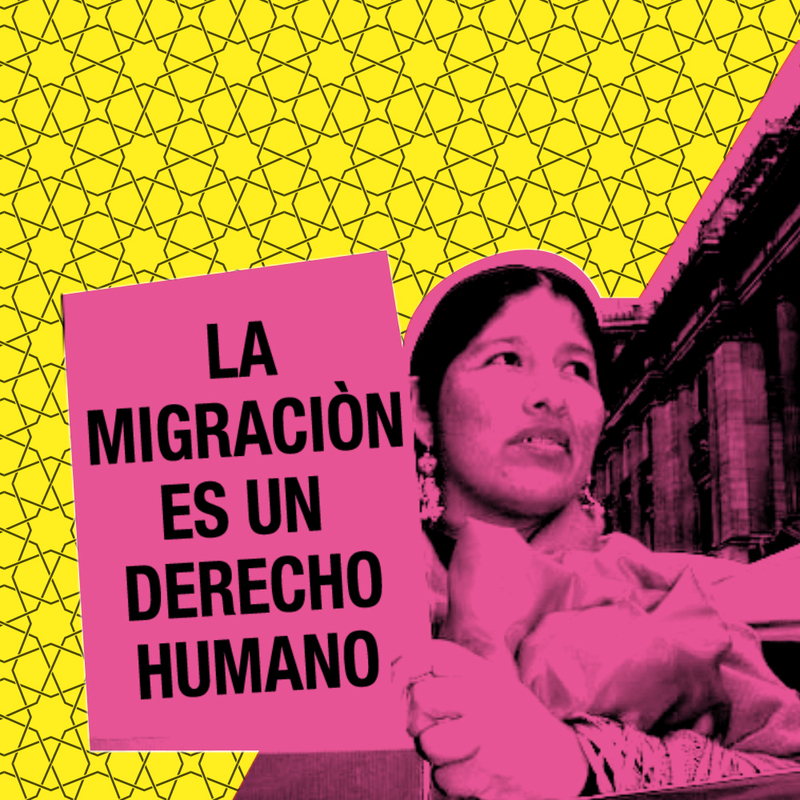 To read the call to action, resources and to find sign-on links in Spanish, French, Arabic, Russian and Mandarin, visit the Women in Migration Network campaign page. The GCM promises to be "gender-responsive" and "a milestone in the history of the global dialogue and international cooperation on migration." However, this will only be possible if women's human rights, international labor standards and crucial principles are fully incorporated into all national, regional and global migration policy. That will depend on all of us!